The Nevada State Athletic Commission has released the official salaries for all of the contestants who competed in Saturday’s “The Ultimate Fighter 18 Finale” event. 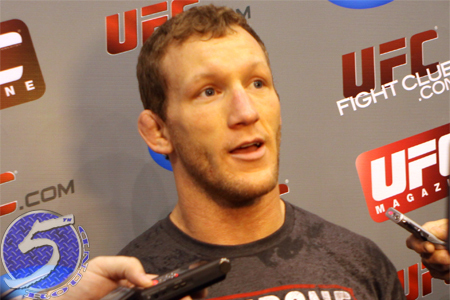 Despite getting TKO’d by Nate Diaz in the show’s featured attraction, Gray Maynard (pictured) still walked away as the night’s highest earner. Maynard pocketed $45,000 for merely stepping inside the Octagon. Diaz made $30,000, with half of his paycheck coming via win bonus. Mandalay Bay Events Center in Las Vegas hosted Saturday’s event.